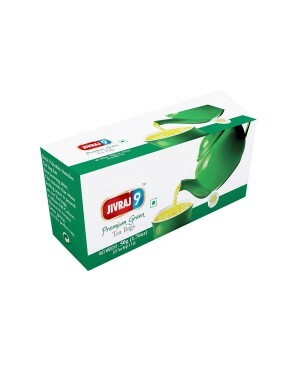 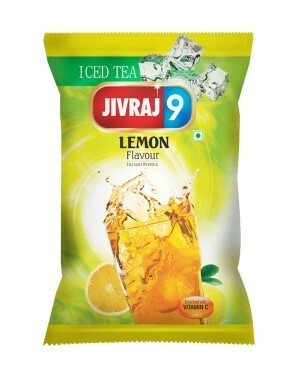 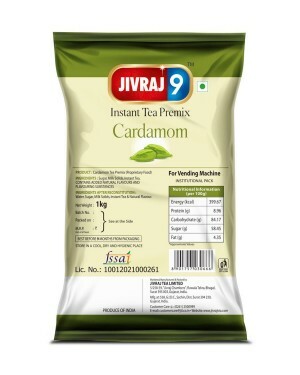 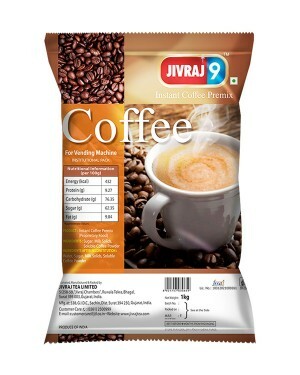 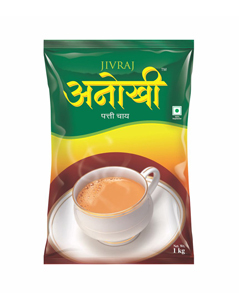 A 100% PURE ASSAM Tea blend from the house of Jivraj, Jivraj 9 Tea comes in various avatars like Leaf tea (CTC Tea), Fanning Tea & Dust Tea – each promising supreme taste and quality. 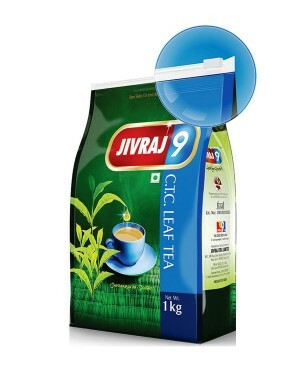 The 100% Assam blend, Jivraj 9 Tea makes every moment refreshing and filled with invigorating energy equipping you for the day ahead. 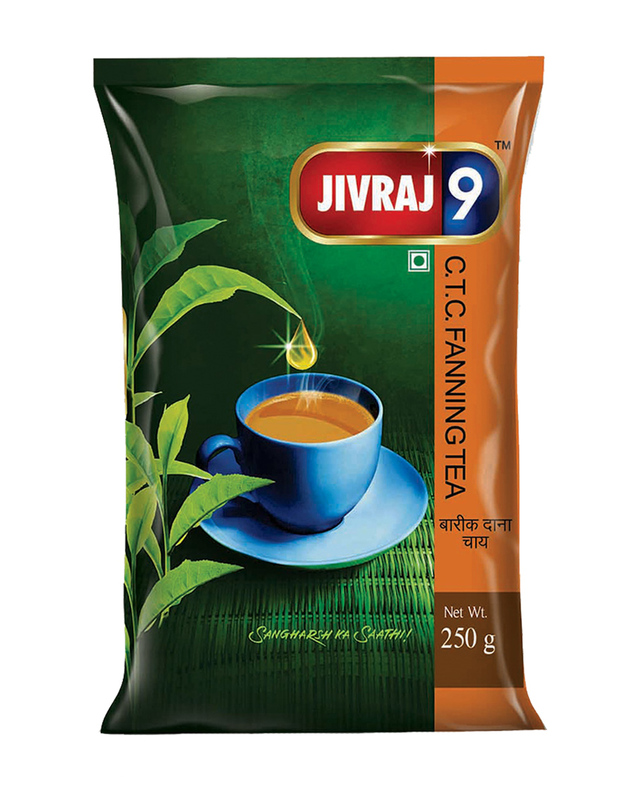 Fanning Teas are medium sized granules of tea and can be ranked between CTC tea and Dust tea. 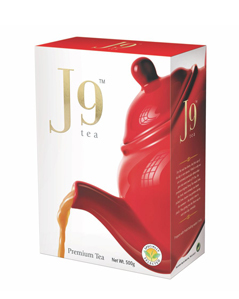 Fanning Tea is a perfect choice for those who prefer dark color, less sweetness and strong flavor after brewing their tea. 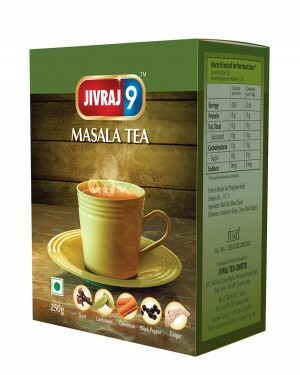 An unprecedented taste from the house of Jivraj which has been luring tea lovers with its consistent taste, quality and aroma ever since its origin.